Often, when prospective clients go to meet lawyers, especially for the first time, they do not know what to prepare for them. That is understandable. As a result the meeting becomes long, tedious and inefficient for both client and the lawyer. This guide is written for those that have or expect to have a court case in Malaysia. The purpose of this guide is to help the client make the most of their time when meeting their lawyer, especially for the first time. It is less relevant to corporate or sale and purchase transactions. There are two parts to this guide. The first is understanding what lawyers expect from you as a client. The second part is a suggestion about what you could prepare before meeting your lawyer. You should be better able to avoid long, tedious and inefficient meetings with a lawyer if you are appropriately prepared. Firstly, lawyers need to be paid for the work they do; just like everybody else. This topic is deep enough on its own so more on this another day. Secondly, lawyers want the facts. In corporate or sale and purchase transactions, lawyers want to know and verify the various parties, their capacities, the subject matter and work out the relevant legal issues. For court cases, lawyers want to know what actually happened – What you actually saw, heard, felt, smelled and thought. So tell the lawyer who said what; who did what; when something happened, what happened before that and what happened after that. The more neutral the account, the better. They are not so interested in speculation and theories at this stage, so leave out the whys at the beginning. Lawyers only want facts first because they need to understand what really happened. From there, they can work out what laws or cases apply for that particular fact pattern and so advise more accurately. The truer your account, the more accurate the legal advice your lawyer can provide. The less true your account, the less relevant the legal advice your lawyer will provide. So in a sense, the value you gain from legal services really depends on you. Thirdly, lawyers want all the facts. People do not like to look bad in front of others. So lawyers know that at first a client tells only the good parts of their side of the story. A proper lawyer will insist you tell them about the weak parts of your side of the story too. A lawyer needs all the facts to be able to make and give you an accurate assessment of the strength and weakness of your case. He needs to know this to plan your legal strategy. It is not helpful to you if your lawyer is caught by surprise by something the other side produces which requires him to completely change his strategy in the middle of the proceedings. Give your lawyer time to think about how to deal with the negative or weak parts of your case – be open right from the start. And who knows, your lawyer may find strength in what you thought was your weakness. In not telling them, you may inadvertently pass up an opportunity to strengthen your case. You need not worry about telling your lawyer about all those negative bits. Whatever you tell your lawyer is confidential, and more importantly protected by something called legal professional privilege – this means no one can force the lawyer to disclose what you have told him without your permission. By law, he cannot disclose anything you discuss with him to anyone else. If he does, you can sue him and are likely to get an injunction against him for repeating or saying anymore, and compensation. The lawyer will also most likely be suspended from practice. The only exception is that a lawyer must disclose something if what you said was to further an illegal act or you do something that shows you have committed a crime after you have appointed the lawyer. Last on this, if you are in doubt about whether you should tell your lawyer about something related to the case – tell him and let him decide. Many a case was lost because a client only disclosed something after the case was over because they felt it was not relevant. Let the lawyer decide that. Fourthly, don’t lie to your lawyer. Seriously. Aside from the pleasure of fooling him, there is nothing at all to be gained from it. It’s like cutting your head off. Once the lie is cast, everything from that point on is a complete waste of time, effort and expense. Proper lawyers immediately stop working the moment they discover they were lied to or manipulated. 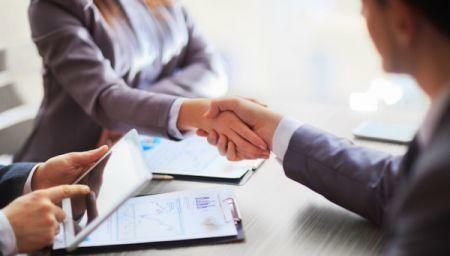 A lawyer-client relationship is one of trust. That trust works both ways. You should not hire or continue with a lawyer you do not trust. Lawyers do not want to work for a client that lies to them. That often leads to trouble down the road. And future increased professional insurance premiums. Lawyers are supposed to clarify your legal position and point out any legal concerns about your situation. They are not supposed to encourage you to litigate frivolously or when it is unnecessary. Lawyers must avoid conflict of interest. They cannot act for both sides in a dispute. They cannot act for both or all sides in a corporate negotiation. They cannot have a financial interest in the case they are working on (aside from their fees). 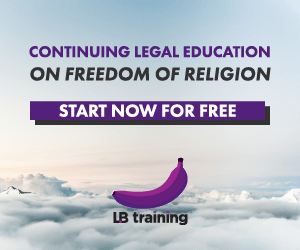 Lawyers cannot allow their clients to abuse the courts and its administration, and those that are a part of it – the witnesses, judicial officers, and litigants. Lawyers are ethically bound to stop acting for such a client. There are many other practice and ethical rules lawyers have to abide by. But the basic thrust of it all is that lawyers must be earnest, trustworthy and reliable. Firstly, call the firm up. Ask how much it costs for a consultation and how long one is. Ask also whether the firm does the kind of case you are faced with. Make an appointment. Avoid simply dropping in. The lawyer may not be around and you would have wasted your trip. Secondly, you could prepare a chronology of significant events. As mentioned earlier, lawyers need to know what happened. Preparing this helps them know quickly. A sample of what that chronology would look like is as below. If you want to impress a lawyer – prepare this for them. Show it to them at the first meeting. They will be blown away and think you are the client from heaven. Finally, you could also prepare a bundle of documents arranged in chronological order and relate it to the chronology of significant events. The document bundle would relate to the Evidence column in the table above. The Evidence column is supposed to state who or what can prove the fact. So for entry 14.9.1990, Encik ZYK’s oral evidence would prove the first time Company ABC heard about Company XYZ was from a meeting with a client. For entry 15.10.1992, there are two pieces of evidence that will prove Company XYZ placed an order from Company ABC. The first is the purchase order sent. 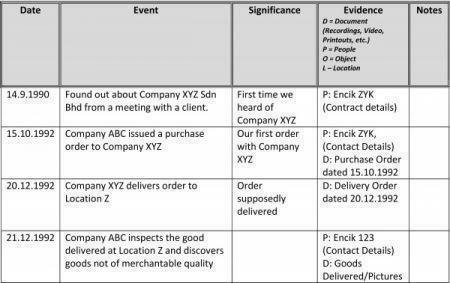 The second is Encik ZYK’s oral evidence to support or confirm that Company ABC received the purchase order. The document bundle should have an index to make navigating the bundle easy. So the document bundle must be paginated. A sample of what that index looks like can be seen below. Finally, after compiling and indexing your document bundle, bring it along. You can download a Word file for both of those tables here: Chronology of Significant Events and Document Bundle Index. If you prepare both these before seeing a lawyer, it will make the most of your meeting with your lawyer. The Chronology of Significant Events ensures you recorded all the important facts chronologically. More importantly, you can review it to make sure it’s correct, consistent and sensible. The Document Bundle Index ensures you have compiled all the important and relevant documents to the case. This will also ensure you do not leave out or forget any important documents before you see your lawyer. If you follow these suggestions, you will make the most of your appointment with your lawyer, especially on the first meeting. It will help your lawyer understand the facts easier and better than a purely verbal narrative of the facts. You would have brought your lawyer all the relevant documents and give him an opportunity to study them immediately. There is no need to go back and forth on the documents.This in turn will expedite his consideration of your case. All the best with your case! Posted on 16 January 2017. You can follow any responses to this entry through the RSS 2.0. Recently, I got in touch with the best personal injury solicitors to make sure that my claim gets approved in the court of law successfully. It will certainly help handling the legal procedures rightfully. Do you wish to make above RM4,000 per day?..Are you tired of getting little income?.Do you have all it takes to make a lady happy in bed?… here is the only opportunity to get rich and make cool cash with one of the richest sugar mummy in Malaysia and Singapore whatsapp (+60105635159) and get hook up immediately.